Fred Kern, Jr. graduated from the University of Alabama in 1939 and from Columbia University, College of Physicians and Surgeons in 1943. After serving in the Medical Corps of the US Army, he became a fellow at Cornell Medical College. In 1952, Fred and his wife Bernie moved to Colorado where Fred served as a Professor of Medicine and Chief of Gastroenterology at the University of Colorado in Denver. Dr. Kern helped train generations of academic gastroenterologists who went on to teach at medical schools or research institutes in the United States, Canada, Australia, and Chile. A distinguished researcher, Dr. Kern was known for his investigations in the areas of lipid metabolism, lactose intolerance, inflammatory bowel disease, the effects of estrogen and pregnancy on gallstone formation, and other areas of liver and digestive diseases. Dr. Kern was co-author of three books, 31 chapters in clinical textbooks, and more than 200 scientific articles. 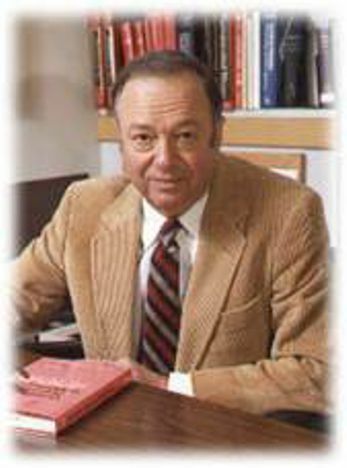 He received, among other honors, the 1988 University of Colorado Medal and the 1986 Friedenwald Medal, the highest award of the American Gastroenterological Association. And in 1986 he was named master of the American College of Physicians. The Aspen Lipid Conference was organized by Fred Kern, Scott Grundy and Roger Davis in 1985. Fred’s wife, Bernie played a significant role in the development of the Aspen Lipid Conference as its first coordinator. After his death on May 2, 1997, the Board of Directors unanimously voted to rename this conference The Kern Aspen Lipid Conference to honor the legacy of Dr. Fred Kern, Jr. Fred will always be remembered as a warm, intellectually challenging and wise person whose dedication to bridging significant scientific achievements and clinical research served as the predominant basis for the development of this conference.